Data published by SPP Fonder, the Swedish manager that is part of the Norwegian Storebrand group, suggest it took 20% of net inflows to funds in Sweden through 2018, equivalent to some SEK11bn. Overall AUM rose by 4% by year's end compared to the year earlier, to SEK184bn (€17.9bn), it reported. 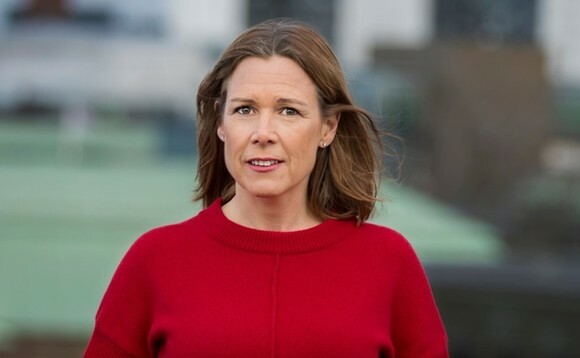 Reasons cited for being able to attract new money include the investor shift towards funds that sit closer to indices, the focus on sustainability critiera that SPP has, and low fees, according to chief executive Åsa Wallenberg, who is also head of Funds at Storebrand Asset Management - who cites the range offered of active fixed income, generational and factor funds. Demand from investors for both factor based investments and fossil free exposure led SPP to launch its Global Multifactor Plus fund in the second half of last year, which also is described as a hybrid of active and passive investment, using a systematic approack to company selection. The year gone also saw the launch of other fossil free products including SPP Global Företagsobligation Plus, SPP Europa Plus, and the relaunch of SPP Global Solutions, previously known as SPP Global Topp 100. SPP cites Eurosif's recent report, which suggests sustainable investments are growing fast across Europe, with particular intereste being shown by institutional investors. However, there has been a ninefold increase in the growth rate of responsible investments at the retail investor level. But SPP also notes that there is growing evidence of the potential for generating returns by applying sustainability preferences. Further momentum is expected from the focus on new EU regulation intended to foster a sustainable financial market in the EU, Wallenberg added. "This will increase demands on the financial market. Our goal is to continue being leading in sustainable asset management, by continously developing our business and our offering." The risk of the reforms, in particular a revised PPM fund platform, is that it could lead to a more passive approach to selection and increased ignorance of funds, Wallenberg suggested. "My hope is therefore that those leading the inquiry, before they make drastic changes, evaluate the changes that have already been made in the past year, so that Sweden can continue to be a country that is leading in savings, with knowledgable, aware and demanding consumers."